The Chinese artist Ai Weiwei is internationally renowned for work that defies the distinction between art and activism. In this exhibition of new works created specifically for Alcatraz, Ai responded to the island’s layered legacy as a 19th-century military fortress, a notorious federal penitentiary, a site of Native American heritage and protest, and now one of America’s most visited national parks. 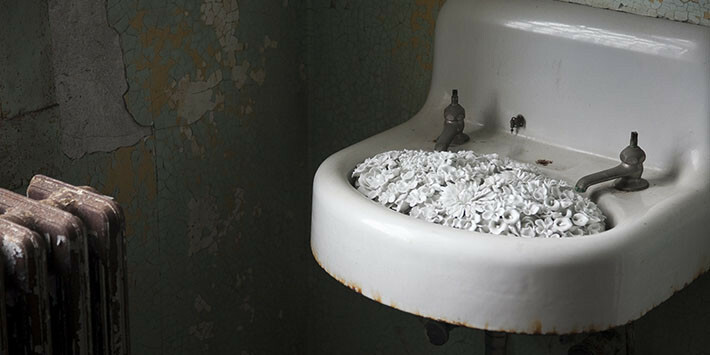 Revealing new perspectives on Alcatraz, the exhibition raised questions about freedom of expression and human rights that resonated far beyond this particular place. 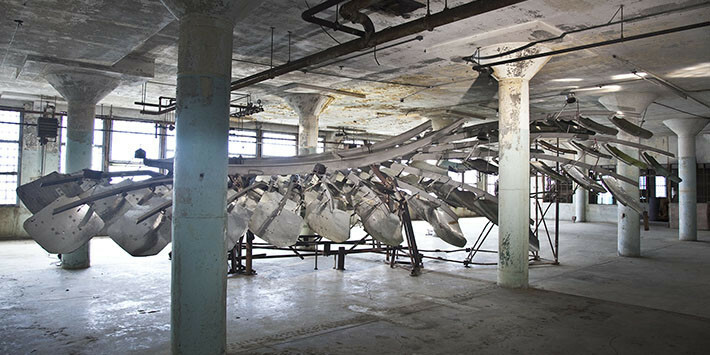 Ai’s sculpture, sound, and mixed-media installations occupied four locations in the former prison: the New Industries Building; a group of cells in A Block; the Hospital; and the Dining Hall. With the exception of the Dining Hall, these areas were usually restricted to the public, but all were open throughout the run of the exhibition. @Large turned Alcatraz into a space for dialogue about how we define liberty and justice, individual rights and personal responsibility. In artworks that balanced political impact with aesthetic grace, the exhibition directly and imaginatively addressed the situation of people around the world who have been deprived of their freedom for speaking out about their beliefs — people like Ai himself. Ai Weiwei is a Beijing-based artist and activist whose work encompasses sculpture, installation, photography, film, architecture, curation, and social criticism. His art has been featured in major solo exhibitions including Ai Weiwei at Blenheim Palace, Woodstock, UK, 2014; Evidence at the Martin-Gropius-Bau, Berlin, 2014; and Ai Weiwei: According to What?, which was organized by the Mori Art Museum, Tokyo, in 2009, and traveled to North American venues in 2013–14. Ai collaborated with architects Herzog & de Meuron on the “bird’s nest” stadium for the 2008 Beijing Olympics. He has been the recipient of numerous awards and honors, including Amnesty International’s Ambassador of Conscience Award in 2015. 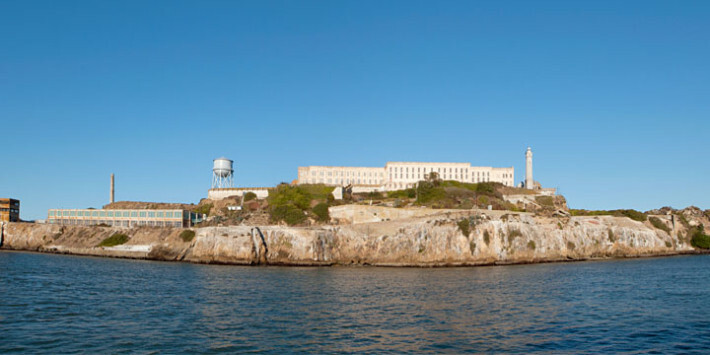 @Large: Ai Weiwei on Alcatraz was presented by the FOR-SITE Foundation in partnership with the National Park Service and the Golden Gate National Parks Conservancy. Support for the exhibition is provided by Roger Evans and Aey Phanachet, the Fisher family, and other generous donors.